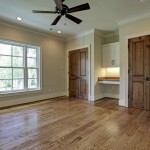 Big Bro Hardwood is a Wood Floor Refinishing & Installation Company, specializing in dustless hardwood floor refinishing. We service southwest and northwest sides of Chicago suburbs, including Naperville, La Grange Park, La Grange, Burr Ridge, Darien, Westmont,Hinsdale, Western Springs, Downers Grove, Oak Brook, Lombard, Clarendon Hills, Lisle, Woodridge, Glen Ellyn, Wheaton, Lemont, Orland Park and others. You will find our service prompt and reliable, and also at a reasonable price. Our highly trained and experienced staff will professionally address all of your dustless hardwood floor refinishing and installation needs. We can create the floors you have always wanted. We are committed to the best service and quality that you can find. Our philosophy is to offer you the finest hardwood flooring products with an experience that will leave you happy and proud of your home. Big Bro Hardwood provides an entire system of products to bring out the best in hardwood floors and ensure they last a lifetime. My family didn’t pay much to get a dustless hardwood floor refinishing by Big Bro. Following previous experiences with flooring companies, we didn’t have any high hope when we decided to email Big Bro based on a recommendation. They were reasonably responsive; the process was simple and they paid attention to our concerns. 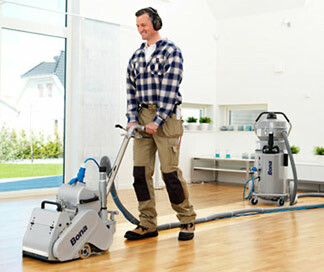 We love their calm professionalism; they are certainly the best to engage when it comes to flooring project. We are satisfied with the finishing and we can’t wait to explore the other services rendered by Big Bro. 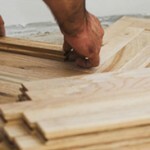 Big Bro Hardwood is a flooring company with an amazing work ethic. We are happy about our home because the custom color they recommended blends so well with our furniture and the wall décor. Our kids returned from summer break to find a home they are truly proud of. They are proud of us as well; thanks to Big Bro. Our investment is worth the finishing. We will recommend Big Bro to families and friends always. We didn’t want an assuming flooring company. That has been our experience. There were a number of factors we looked out for and Big Bro Hardwood met our expectation. We were provided with adequate information and a careful attention was paid to our personal tastes. The professionals are cool, calm and reasonable. I must say that my family got a professional treatment that will be hard to forget. It was worth the effort; we will always recommend Big Bro. We had a not-too-good experience with the flooring company we hired in our previous home. Our kitchen wall was messed up; we had to pay our painter to have it fixed. Hence, it was hard to hire another when we moved to Chicago. We trusted the recommendation of a friend and we are happy we did. Big Bro Hardwood offered us a simple but great professional service. No damage done to our walls in the process. Now, our floor is back to its original exotic look. All I wanted was a custom color that gives the floors and my condo a modern outlook. My sister recommended five flooring companies and I settled with Big Bro. First, because of the prompt response I received via email. I was not too convinced when their staffs appeared at my door the day that followed. However, when they started with assessing damages and possible repairs before any other thing, I was more than convinced. Against the estimate I had anticipated, Big Bro helped to save more. No cheating, no extorting. When the painters came to finish the walls, they could not keep their eyes off our floors. Everyone who has been visiting our home for the first time since Big Bro stained our floors has one compliment or the other to make. 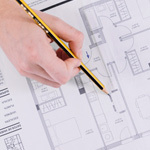 It’s a job worth the estimate and we are always glad to recommend them to anyone. Our 10-year-old floor looks new and we can’t wait to host our friends to dinner soon. When we could not find a company in our area to help with lighter floor to illuminate our baby’s room, we started considering moving her into ours. Fortunately, my friend at the clinic recommended Big Bro. As a result of the expertise of Big Bro Hardwood, her room’s floor now looks the way we have always wanted it to. Watching our girl grow up in such an atmosphere is our most beautiful experience. Big Bro Hardwood made it possible. Thank you. Indeed, Big Bro Hardwood Company is a big brother to others when it comes to wood stains and finishes. Big Bro pays attention to every detail and handles your needs professionally. At first, I was drawn to the gallery on their website. I loved the work I saw and was convinced when a colleague also recommended them. They are reliable and committed to giving affordable professional service. What can I do but share the good tidings. We wanted our home to carry the ambience of a natural environment but the floor color suggested by the company we had contacted didn’t suit our style. We considered other options but we were not encouraged by the attitude of the workers who were sent to check the work area. We considered two other companies and finally settled with Big Bro. We were guided through the decision-making process, they gave us what we picked and the quality of their work makes us happy. You can trust Big Bro Hardwood. 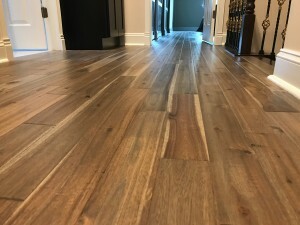 Following Rick’s experience with pushy contractors as a teenager, it was hard for us to trust anyone with restaining the wood floors of our home. However, we visited a friend during Christmas and we were swept off our feet by the aesthetic of their floors. It all appealed to us. Although we had our fears but what we saw and the recommendation of our friend could not be ignored. Three weeks after, our floors are looking like it’s never been walked on. Thanks to Big Bro Hardwood, we are proud of the beauty of our home.